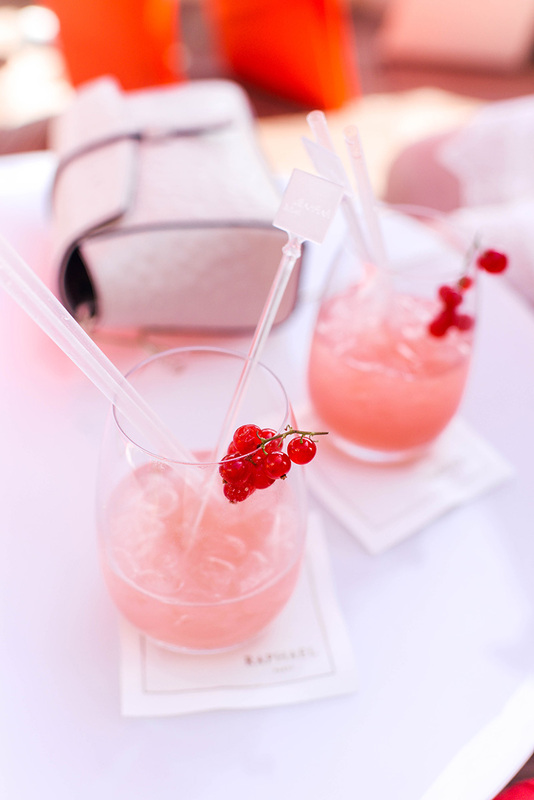 the paris itinerary is live! 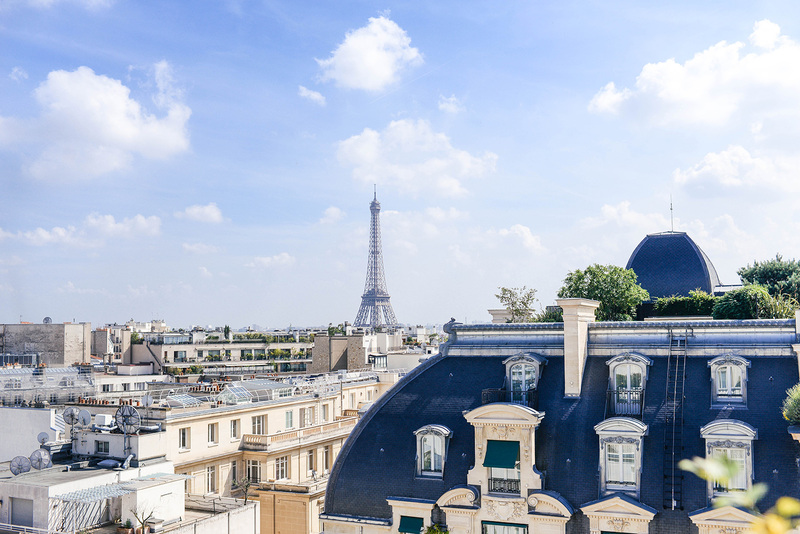 I’m so excited to announce the launch of my latest itinerary on A Detailed Destination: PARIS! In this 16-page guide you’ll discover the best places to dine and drink, all of the must-visit museums and sights to see, my favorite shopping around town, tips that’ll make your trip a breeze and so much more! There are eight full days of hour-to-hour plans in this guide, of which you can use as is or spread out over more days if you prefer to take a more leisurely approach to your trip. Click here for more info and to purchase The Paris Itinerary! 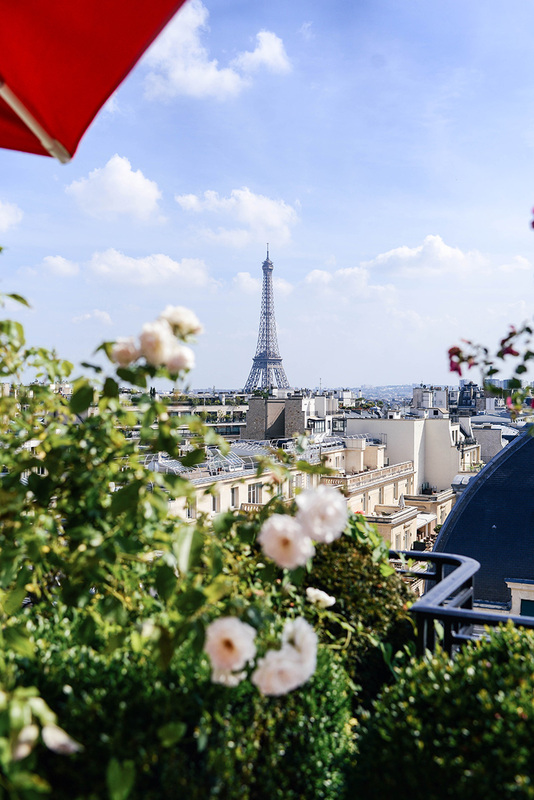 I’ve been saving these photos for this blog post because it was the most breathtaking view on the most beautiful day in the city of lights! 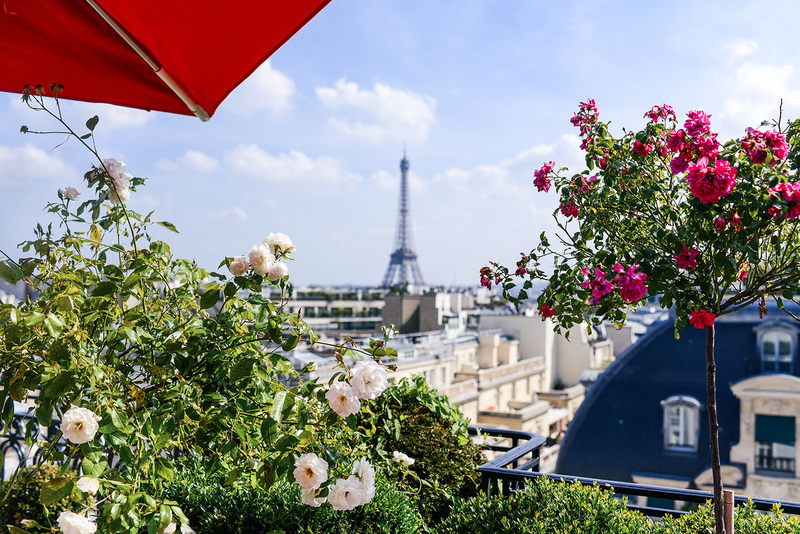 I first visited the Hotel Raphael rooftop terrace back in 2012 when I went to Paris with my family, but unfortunately the rainy weather didn’t allow us to sit up there for a drink and take in the view. So when the forecast said “sunny” all day on my most recent trip in June, I knew just where we needed to go to enjoy it! 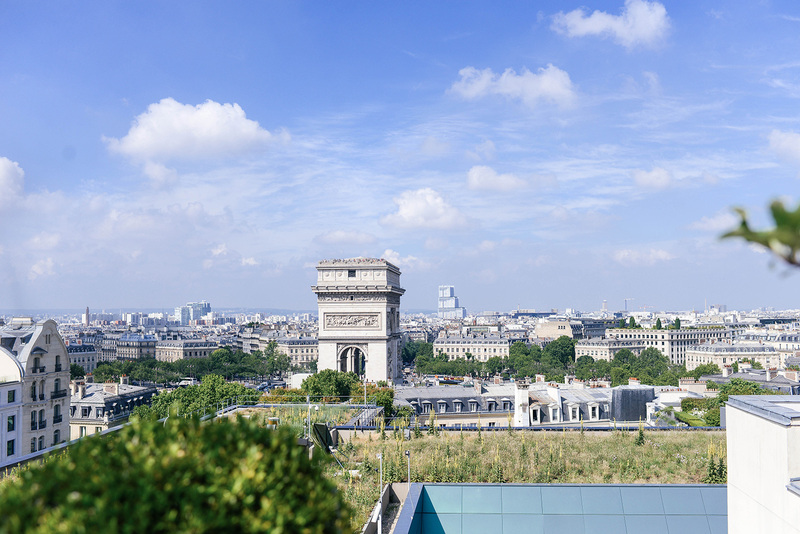 As you can see, the terrace provides unobstructed views of the Eiffel Tower and Arc du Triomphe, as well as a variety of viewpoints of grand Parisian streets and the many charming rooftops nearby. It truly is picture perfect! Oh congrats on this launch! I just took a peek at it and it seems so great. I know tons of friends who have been wanting to visit Paris for the longest of time, I will definitely have to recommend your itinerary to them! 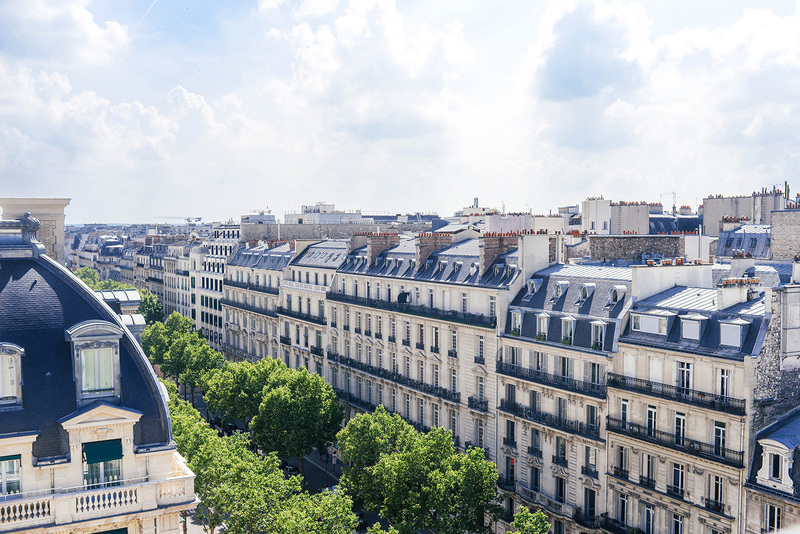 These views of Paris really are something special. I could never get sick of my Paris! From every angle you capture a new and beautiful view of the city. What a precious spot you found atop this rooftop!